Browse the latest new homes by Shape nationwide. ​Shape is a London-based boutique developer that was established in 2012. It creates luxury homes with contemporary interiors, and seeks to give homeowners a space to escape the city. The company primarily focuses on building homes in London, with properties available in Southwark, Brockley and Marylebone but has expanded to developments further afield. These include its Chawley Court project in West Oxford and its Station Road development in Ashby-de-la-Zouch in the Midlands. It builds homes suitable for a variety of buyers and requirements, from one-bedroom flats to five-storey townhouses. The housebuilder is committed to providing high levels of design, which is reflected in its use of carefully selected architects and interior designers. A key element of a Shape property is for it to enhance the community in which it has been built. 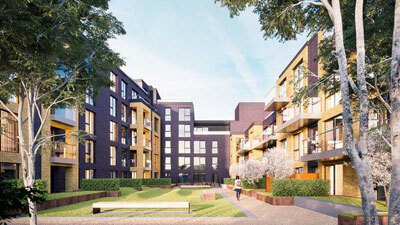 It aims to become the go-to property developer for its target market in London. Choose a Shape development in this area.